OpenView are sponsoring four young men who are taking part in the Talisker Challenge and attempting to row the Atlantic in December. Not only are they undertaking this huge challenge but they are raising funds for Diabetes UK. OpenView are proud sponsors of Monmouth School First 8 rowing at Henley Royal Regatta in the Princess Elizabeth Challenge Cup. Good luck gentlemen! OpenView was awarded an upgrade project for CCTV software management for all police custody suites for the Durham Constabulary.OpenView was awarded the contract through a competitive public tender procurement process, where we demonstrated compliance, innovation and best value. Our video management software will be installed onto client hardware and network infrastructure to enable full management of CCTV video which is recorded and displayed live upon alarms. 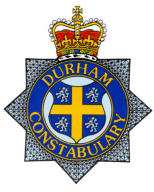 The system will operate over all of the Durham Constabulary’s sites providing an enterprise wide solution. OpenView was awarded a 3-year framework contract to supply, install and maintain security systems for all of RCT`s residential property. 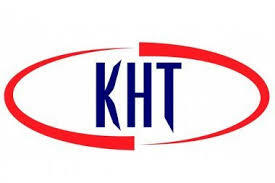 This contract involves installing door entry systems including new doors and electronic security. 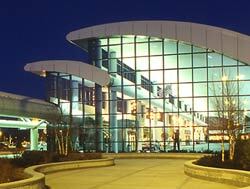 We are also contracted to supply new emergency lighting systems in key buildings. The framework has a financial value of £1.2M over the three year term and will involve circa 100 property and system upgrades. OpenView awarded London`s Largest maintenance framework contract for CCTV public space surveillance and security. Following a highly competitive public tender process, OpenView was awarded the maintenance and framework contract for the East London Consortium (ELS) of local authorities which currently comprise of the London Boroughs of Newham, Redbridge, Waltham Forest & Enfield (4 local authorities). All public space CCTV will be maintained and managed by OpenView and the contract is expected to yield over £2M per annum in revenues. Over 5,000 cameras plus other forms of electronic security will be maintained by OpenView under this contract. OpenView will be investing in additional engineers that will be locally recruited to provide community sustainability under our CSR programme. OpenView will be working in partnership to develop the systems for the next 4-years under the terms of the contract. The ELS framework contract is a unique initiative that provides open-book accounting for the council and full financial transparency, providing best value. The framework is available for other London Boroughs to utilise and join to take advantage of the commercial terms which offers best value using an established and speedy procurement process. OpenView is awarded a £750K CCTV Installation Project with the Solihull Community Housing via a highly competitive public tender process. The scheme provides a networked multi-site CCTV system that will be centrally monitored from a new control room. Forty two housing blocks will have new CCTV equipment installed including the latest IP digital technology to record and display all cameras on the system. The scales and complexity of this system is significant, where OpenView has designed a wireless transmission network that links all of the sites back to the central control room. Over 400 cameras will operate on the system and be recorded and viewed back at the central control room. OpenView is fitting out a new control room with new furniture, lighting and power plus all of the new CCTV displays and operator equipment. The system will provide a safer environment for the residents and visitors for the 42 sites which is a major community safety initiative from Solihull Community Housing. OpenView is awarded a £2M CCTV Installation Project with the Metropolitan Police Service. OpenView is a framework contractor for the Met Police and through a highly competitive tender process was awarded this prestigious project to upgrade all CCTV systems in all of the Met Police`s custody suites in their police stations. There will be over 50 Systems installed over the next year as a rolling programme that systematically upgrades all police stations in a phased manner. The systems will be the latest IP digital CCTV technology manufactured by IndigoVision plus cells cameras from Axis communications. OpenView`s project remit is to design and install all new systems including the data network infrastructure, new IP digital cameras (using IndigoVision`s latest high performance Ultra 2K HD camera technology). Both CCTV and audio is recorded and stored for 1 year, making this a complex CCTV solution that provides the Met Police with a significant evidential data archive. When all 50+ systems / sites are completed they will be networked together onto a central management terminal to provide the Met Police with access to all cameras and recording from key management locations. We move into our new Huddersfield offices. 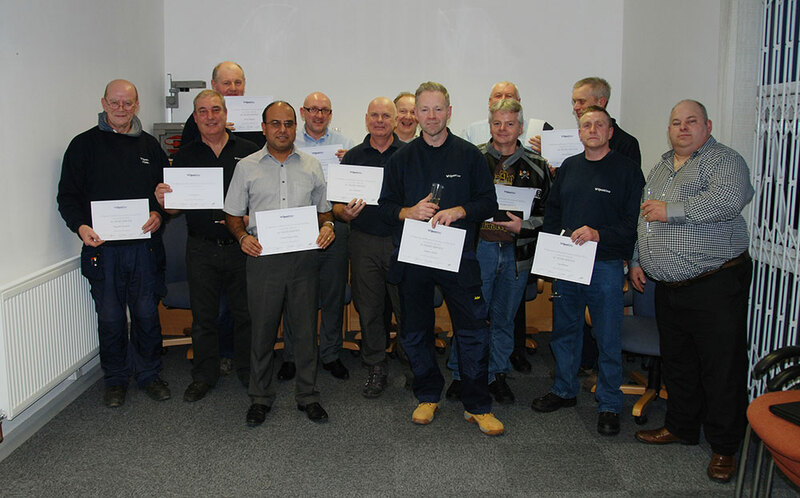 Congratulations to fourteen members of staff at our Birmingham office receiving their certificates for 10 years continuous and loyal service. 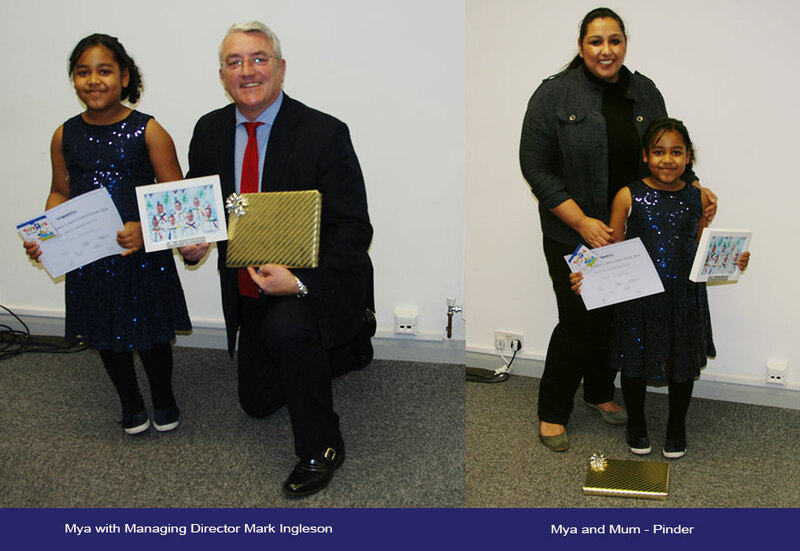 Congratulations to Mya aged six, who collected her Toys R us voucher, certificate and framed card for winning the Christmas card design competition 2014. OpenView wins major project to deliver a new CCTV system and control room for the entire Harlow estate. This consists of over 100 new state of the art HD IP CCTV cameras, wired and wireless infrastructure and a new video management system and recording. The contract also includes OpenView providing a new control room facility, including All M&E works and furniture. The project is scheduled to be completed by the end of the summer 2014 and a maintenance contract will follow to support the system and the client. OpenView wins major project to deliver a large multi site CCTV system to protect various high rise housing blocks in the North West of England. The new CCTV system transmits back multiple sites to a new centralised control system providing HD quality video surveillance and recording for over 200 cameras. This investment will protect the residents by providing the latest and greatest of HD quality IP CCTV, all recorded to capture anti-social behaviour. OpenView wins a major framework contract to provide new door entry systems for this historic and famous housing trust for their central London property. Since winning the contract, OpenView has installed a new state of art IP door entry system, which is one of the first of its kind for the public housing sector. This new technology provides a future platform for greater residents’ communications back to the housing office for alerts and messages. OpenView wins a significant contract to upgrade multiple sites to the latest IP CCTV platform providing HD quality recording for all of the main housing blocks for this local housing authority. This provides a significant improvement with CCTV surveillance and recording to protect residents from anti-social behaviour. OpenView wins a major contract to upgrade and network all high rise housing blocks to a new centralised control facility. This includes the integration of all existing Access Control Systems, Door Entry Systems and upgrading the CCTV systems to the latest HD technology. This provides this housing organisation with a new state of the art centralised control facility within a new control room, all designed and installed by OpenView. OpenView secures the contract to become the sole framework contractor for all new residential access control systems providing the latest Salto systems within the halls of residents. 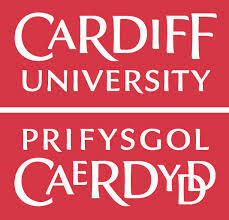 This is a 5-year contract which provides Cardiff University a high quality access control solution that fits with their strategy for securing student residential property. Kathleen Philip Recruited in July 2013. Kathleen joined OpenView in July 2013 into a newly created position to strengthen our relationship management with residents. Her role is to provide communications services for residents when delivering security projects into the social housing marketplace. These services will be measured against OpenView`s Quality Management System and internal KPIs, ensuring our company acts proactively to provide the highest level of customer care. OpenView has been awarded the service and maintenance contract for the Royal Armouries in Leeds. We won the open tender for the “Security System Maintenance” of the CCTV, access control and intruder alarm system at The Royal Armouries, Leeds. It is a three year contract, fully comprehensive and includes bi-annual PPMS. Royal Armouries is a national museum which receives annual grant-in-aid core funding from the Department of Culture, Media and Sport and raises additional financial support for educational and community outreach projects through commercial activities, sponsorship and fundraising. It operates on three UK sites: at the Royal Armouries Museum in Leeds, Fort Nelson near Portsmouth and at the White Tower within the Tower of London. OpenView was awarded this prestigious contract by providing the most robust solution and offering the best customer value. 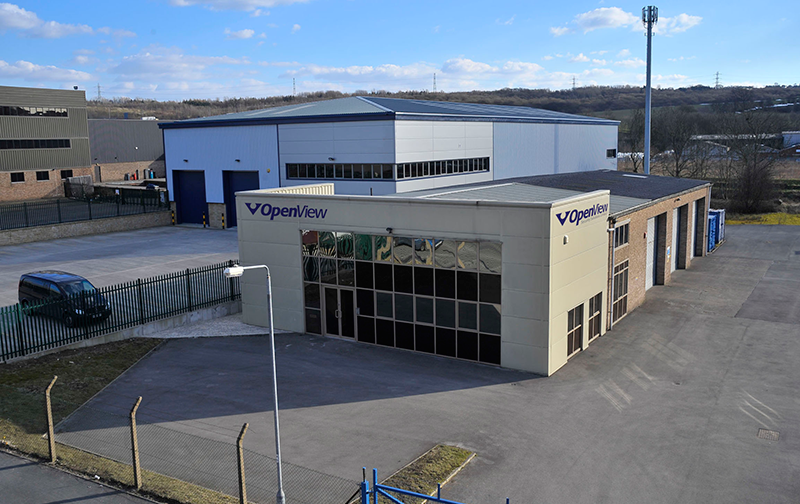 The contract will be operated from the Huddersfield OpenView branch which autonomously provides installation and maintenance services, supported by OpenView HQ. OpenView looks forward to build a successful and strategic relationship with this customer for the full 3-year term and develop the electronic security systems where required into a first class security provision for this prestigious site & customer. We are delighted to be finalists for this year’s prestigious IFSEC project of the year for – Your Homes Newcastle Concierge Centralisation Project. The scheme provides an innovative solution utilising high specification equipment all of which communicates over a wide area network. This ground breaking installation is the first of its kind in the UK. Eventually more than 9000 IP security devices will be connected to a single system. Each of the 65 buildings, containing over 4700 homes, will have integrated door entry intercoms, CCTV, access control and alarm management systems plus an associated communications infrastructure providing an integrated, centrally managed solution. The system will be interfaced to YHN’s Customer Relationship Management System (CRM) to provide essential services for their residents. All of the dwellings will benefit from a fully managed service through the YHN Enquiry Centre including CCTV monitoring, full intercom communication, messaging services, intruder alarm and smoke detector monitoring. Steven Studley, for YHN commented “OpenView were awarded the contract because their tendered bid represented best overall value, particularly in terms of technical compliance, demonstrable capability, competitiveness, and innovation”. Cartel win a new contract with Network Rail for ISS and maintenance at Waterloo Station. Garndene win a three year maintenance contract with the Leeds Metropolitan University. 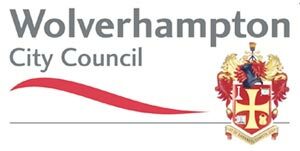 Delaware wins Wolverhampton City Council ISS refurbishment plus maintenance contract for four years. 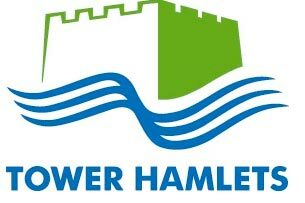 Cartel wins Tower Hamlets 5 year maintenance contract including TV communications Housing stock security systems. Cartel awarded a major public space CCTV system upgrade project for the London Borough of Waltham Forest, consisting of: Full control room upgrade, a new Parking Enforcement CCTV system & new wireless Ethernet network for the town centre cameras. OpenView Security Solutions Limited is selected as finalists for two categories in the Security Excellence Awards. Our successful housing estate project for Your Homes Newcastle has been selected for Integrated Security Solution of the Year, plus our OpenView Security Solutions Limited business has been selected for the Large Installer of the Year categories. This is in recognition to the many innovative projects and our commitment to service delivery over the past year. 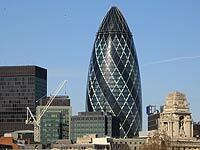 Known as “The Gherkin”, 30 St Mary`s Axe London, OpenView Security Solutions Limited is awarded the maintenance contract for this iconic landmark building in the centre of the City of London. This is a major advancement into the commercial market where OpenView Security Solutions Limited is continuing to make an impression. OpenView Security Solutions Limited awarded a major public space CCTV system upgrade project for the London Borough of Waltham Forest , consisting of: Full control room upgrade, a new Parking Enforcement CCTV system & new wireless Ethernet network for the town centre cameras. Bristol Airport continues to expand their CCTV system; OpenView Security Solutions Limited will be installing additional perimeter CCTV cameras around the airfield to enhance the security coverage. Morrisons FM awards to our Birmingham division a large FM contract for door entry systems for their housing stock in Nottingham. City West Homes in Manchester continues with their housing redevelopment program and awards OpenView Security Solutions Limited with a major pilot project using advanced IP CCTV technology using megapixel HD cameras. OpenView Security Solutions Limited is awarded a major refurbishment and enhancement contract to the Supreme Court located in the high security zone, Westminster Square, London. Major enhancements to the access control system were undertaken, plus a secondary “fall back” control room has been installed to provide this high profile site with a resilient solution.